"With the 10th anniversary of Comer Children's Hospital, we pause to consider the significant impact the hospital has had on the children we care for, the way we treat childhood disease, the community we serve, and the future leaders we train." — Kenneth Polonsky, MD, executive vice president for medical affairs at the University of Chicago and dean of the Biological Sciences Division and the Pritzker School of Medicine. 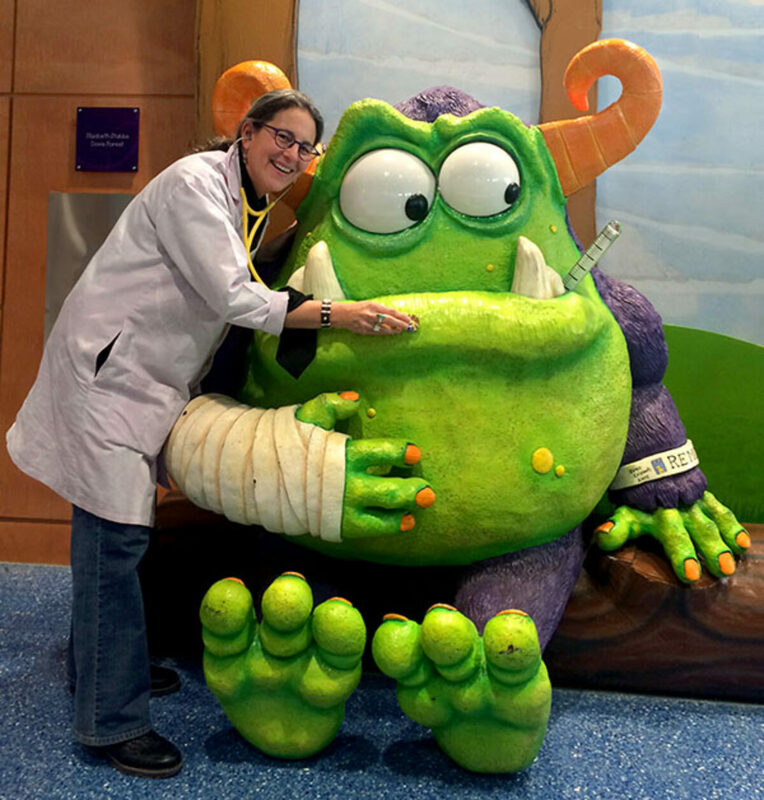 Dr. Jill Glick, Professor of Pediatrics &amp; Medical Director, Child Protective Services, with REMOC, Comer Children's Hospital mascot. Learn More about Comer's first ten years.